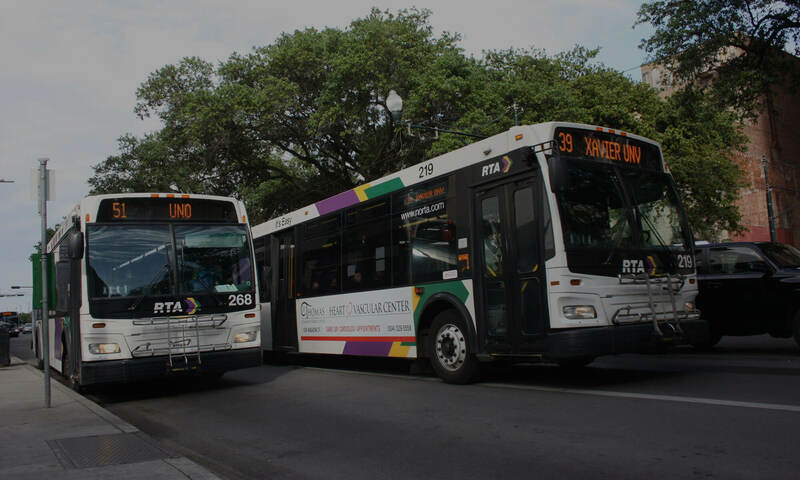 With the 10th anniversary of Hurricane Katrina upon us, RIDE New Orleans releases our second annual benchmarking report, The State of Transit in New Orleans, Ten Years After Katrina. Ten years after Katrina, New Orleans’ transit recovery remains uneven. Bus service remains down 65% while there are now more streetcars lines offering more trips than in 2005. While streetcars remain an historic and iconic part of our transit system, they are costly to install and inflexible in providing service. Federal monies and local bond sales have financed a massive streetcar expansion project which has not been well-integrated into the existing network of bus routes and has actually worsened commutes for some bus riders by forcing them to transfer to the new streetcar to complete their trip. To learn more and review our report, click here.